Use of online and blended learning continues to grow in higher education. As of 2015, approximately 70% of degree- granting institutions have some online offerings (Allen & Seaman, 2015). Research in online learning has been conducted at micro and macro levels. Micro level research has been conducted at the course or individual case study level, investigating variables such as effective instructional strategies or demographic profiles of successful learners in these environments. Macro level research has been conducted at the national or global levels, investigating access to education via free online courses such as Massively Open Online Courses, otherwise known as MOOCs, and examining global standards for online learning. This chapter explores several research trends in order to assess the state of online learning and identify opportunities for future research. In order to better understand the research trends, definitions are presented first followed by quality standards for online learning courses, and programs developed by professional organizations are summarized. Student, faculty, and administrator perceptions of online learning are reviewed in addition to best practices in design and implementation in online learning. Best practices regarding faculty and learner support are also discussed. Finally, the chapter concludes with a list of academic journals dedicated to online learning research, and a review of trends in online learning to watch. In this section, we briefly define the various terms involved with online delivery methods. Asynchronous online learning A course where most of the content is delivered online and students can participate in the online course from anywhere at anytime. There are no real time online or face-to-face meetings. Synchronous online learning A course where most of the content is delivered online and students can participate in courses from anywhere. There are real time online meetings and students login from anywhere but at the same time to participate in the course. MOOC These are Massive Open Online Courses where an unlimited number of students can access the open source content free of cost. Blended/Hybrid A course with a combination of face-to-face and asynchronously online delivery with a substantial portion of the course delivered online. Blended Synchronous A combination of face-to-face and synchronously online students in the course. Multi-Modal A combination of synchronous and asynchronous online learning in the course. Distance education and online learning are terms that are often used interchangeably. However, online learning and its components are encompassed within distance education, which contains two components that are not representative of online learning: correspondence courses and satellite campuses. 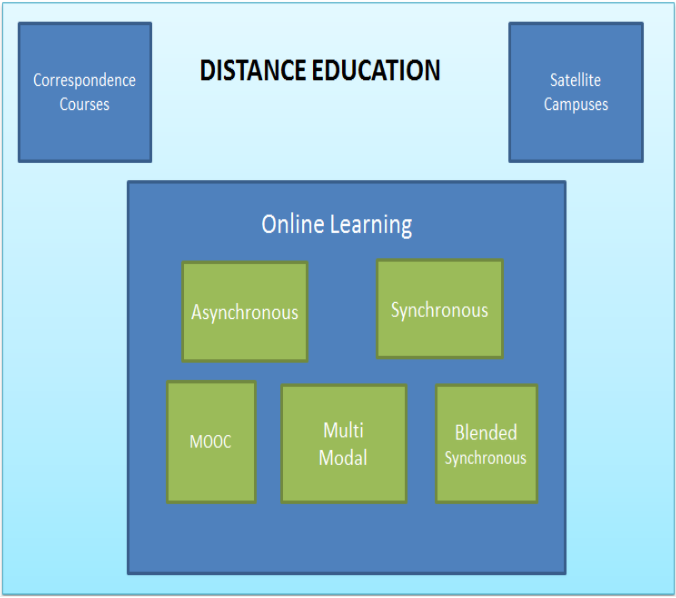 Figure 1 is a visual representation of the delivery methods of distance education. Various standards and frameworks are available for instructors and administrators to use when designing and implementing online learning. Shelton (2011) reviewed 13 paradigms for evaluating online learning and suggested a strong need for a common method for assessing the quality of online education programs. Shelton (2011) found that a theme of institutional commitment, support, and leadership was frequently seen in these standards. At least 10 of the standards included an institutional commitment, support, and leadership theme as a primary indicator of quality. Teaching and learning was the second most cited theme for indicating quality. Daniel and Uvalic-Trumbic (2013 ) in their review of quality online learning standards list institutional support (vision, planning, and infrastructure), course development, teaching and learning (instruction), course structure, student support, faculty support, technology, evaluation, student assessment, and examination security as elements essential for quality online learning. They also add that to assure quality online learning in higher education the most essential requirement is the institutional vision, commitment, leadership, and sound planning. Martin, Polly, Jokiaho, and May (2017) on reviewing twelve different global standards for online learning found that the number of standards varied in these documents from 17 to 184 (Table 21). Instructional analysis, design, and development (N=164); student attributes, support, and satisfaction (N=115); and institutional mission, structure, and support (N=102) were the top categories. Course facilitation, implementation, and dissemination (N=40); policies and planning (N=33); and faculty support and satisfaction (N=27) were rated the lowest three. Table 2. Standard Details (Name, Year, Sponsor, Number of Sections and Number of Standards). Used with permission from Martin, Polly, Jokiaho & May (2017). These three analyses of the quality standards and frameworks over time echo similar results that institutional factors such as vision, support, and planning are important indicators of quality online learning. Several researchers have examined student, faculty, and administrator perceptions of online learning on various online learning characteristics. In the following section, research studies on key online learning characteristics are categorized. Table 3 summarizes the key perceptions of students on online learning, including benefits and challenges. Table 4 summarizes the key perceptions of faculty on online learning, including benefits and challenges. Table 5 summarizes the key perceptions of administrators on online learning, including benefits and challenges. Faculty compensation and time; organizational change; and technical expertise, support, and infrastructure for online teaching; institutional direction for online learning Orr, Williams, & Pennington (2009). The research trends in online learning from the course perspective are organized into two sections: course design and implementation. Muilenburg and Berge (2007) conducted a factor analysis study to determine student barriers to online learning. Eight factors were identified: (1) administrative issues, (2) social interaction, (3) academic skills, (4) technical skills, (5) learner motivation, (6) time and support, (7) cost and internet access, and (8) technical problems. Research in online course design and implementation has tried to address these issues. One example is the development and research of the Community of Inquiry framework (Garrison, Anderson, & Archer, 1999) which provides guidelines for faculty and designers to create meaningful interactive learning experiences that increase the level of social interaction. Recently, Lister (2014) conducted an analysis of online learning literature to identify patterns and themes for the design of online courses. Four themes emerged: course structure, content presentation, collaboration and interaction, and timely feedback. Similarly, Mayes, Luebeck, Ku, Akarasriworn, and Korkmaz (2011) conducted a literature review around six themes to identify specific recommendations for designing quality online courses. The themes used were learners and instructors, medium, community and discourse, pedagogy, assessment, and content. Recommendations identified included structuring courses, developing student-centered interactive learning activities, building collaboration through group projects, incorporating frequent assessments and strategies for equitable scoring such as rubrics, and providing sufficient detail and soliciting student feedback. Jaggers (2016) developed a course design rubric that assessed organization/orientation, objectives/assessments, interpersonal interaction, and the use of technology for their effects on student achievement. The results showed that well organized courses with specific objectives were more desirable but may not have an impact on student achievement. However, the quality of interpersonal interaction within the courses positively correlated with student grades. The following sections explore research in course design and implementation trends in more depth. Instructors may have various levels of control over the design of the course structure, depending on organizational philosophies. Lee, Dickerson, and Winslow (2012) defined three approaches to faculty control of course structure: fully autonomous, basic guidelines, and highly specified. When faculty have less control of their course design, the courses are designed by the institution with instructors serving more as facilitators. Regardless of the amount of faculty control, there are basic elements to course structure that research has shown to be effective such as a having a consistent course structure throughout the course (Swan, 2001). Gamification and the use of games, virtual worlds, and simulations have also gained traction in the online learning research. Gamification is defined as the application of game design elements, such as digital badges, in non-game contexts. Hamari et al. (2014) conducted a literature review of gamification studies and found that gamification can have positive effects, but those effects depended on the context in which the strategies were implemented and the audience. For example, in the context of applying gamification in an educational setting learners experienced increased motivation and engagement. However, some negative outcomes were also identified such as increased levels of competition. However, in areas such as health and exercise increased levels of competition may not be considered a negative outcome. Similarly, the different qualities of the users may also have effects on levels of motivation and engagements. Merchant et al. (2014) conducted a meta-analysis to examine the effects of games, virtual worlds, and simulations as instructional methods. The results showed that students had higher learning gains with games over virtual worlds and simulations. More recently, Clark et al. (2016) found similar results when investigating the literature for effects of games on learning outcomes. The effectiveness of the content delivery method depends on the effectiveness of the design of the instruction and the suitability of the method for the context of instruction. Assessment affects how learners approach learning and the content as well as how learners engage with one another and the instructor (Kolomitro & MacKenzie, 2017). Students access course content based upon the belief that the course will help them learn and have better outcomes (Murray, Perez, Geist, & Hedrick, 2012). Therefore the design of online assessments should promote active learning and ensure that success depends on retaining course content. Martin and Ndoye (2016) examined learner-centered assessment in online learning and how instructors can use learning analytics to improve the design and delivery of instruction to make it more meaningful. They demonstrated several data analytic techniques that instructors can apply to provide feedback to students and to make informed data- driven decisions during instruction as opposed to after instruction. Applying such techniques can increase retention of online students. Transactional distance theory defined the feeling of isolation or psychological distance that online learners often experience (Moore, 1989). To lessen transactional distance, Moore defined three types of interaction: (a) learner-to-learner, (b) learner-to-instructor, and (c) learner-to-content to guide faculty to create quality distance education experiences. Bernard et al. (2009) conducted a meta-analysis on 74 distance education studies on the effects of Moore’s three types of interaction and found support for their importance for achievement. The Community of Inquiry framework built upon these types of interaction and defined a quality education experience for an online learner in terms of three overlapping presences: cognitive, social, and teaching (Garrison, Anderson, & Archer, 1999). However, the Community of Inquiry framework’s ability to create deep and meaningful learning experiences has come into question because much of the research used self-reporting, achievement, and perception measures (Rourke and Kanuka, 2009; Annand, 2011). Another research lens used to address online learner isolation is learner engagement. Engagement in any learning is important. However in online learning engagement is more important because online learners have fewer chances to interact with each other, the instructor, and the institution. Chickering and Gamson (1987) proposed a framework composed of seven principles of good practices to ensure students’ engagement. These principles established high standards for face-to-face courses but can be applied to the design and implementation of online courses in order to increase engagement. The table below lists the principles of engagement proposed by Chickering and Gamson and the comparative principles for effective online teaching proposed by Graham et al., (2001). More recently, Dixon (2010) created and validated a scale to measure online learner engagement. The instrument was used to survey 186 online learners from six different campuses. Results showed that multiple communication channels or meaningful and multiple ways of interaction may result in higher learner engagement. However, more research should be conducted to validate these results. Research on all of these frameworks echo the importance of collaborative or cooperative learning. Borokhovski et al. (2012) conducted a follow-up study to the Bernard (2009) meta-analysis investigating the effects of online collaborative learning on achievement. The results indicated that collaborative learning activities had higher effects on student achievement. Conversely, Oyarzun and Morrison (2013) conducted a quasi-experimental study investigating the effects of cooperative online learning on achievement and found no significant difference in achievement between students who completed the assignment individually or cooperatively. However, more experimental research is needed to validate the effects of collaborative learning and to identify effective methods of online collaborative learning. Muilenburg and Berge (2007) identified several issues related to online learning implementation from the student perspective, including course materials that are not always delivered on time, instructors not knowing how to teach online, lack of timely feedback, and lack of access to instructor. Three of these deal specifically with instructor immediacy or responsiveness. Bodie and Michel (2014) conducted an experimental study manipulating immediacy strategies for 576 participants in an introductory psychology course. Results revealed that learners in the high immediacy group showed greater learning gains and retention. Martin, Wang and Sadaf (2017) investigated the effects of 12 different facilitation strategies on instructor presence, connection, learning, and engagement. They found that students perceived timely response to questions and feedback on assignments from instructors helpful. It was also noted that instructors’ use of video aided in building a connection with the instructor. Timeliness and immediacy are common themes in the research. Again, more experimental research should be conducted to identify specific strategies for faculty. In addition, Oncu and Cankir (2011) identified four main research goals for course design and implementation to address achievement, engagement, and retention issues in online learning. The four goals are (1) learner engagement & collaboration, (2) effective facilitation, (3) assessment techniques, and (4) designing faculty development. They further recommended that experimental research be conducted to identify effective practices in these areas. Thus, there are many frameworks and principles for effective design and implementation of online learning, but there is still a lack of research validating many of these ideas or providing effective cases. Several universities who offer online courses are providing online course planning and development support and technology support to their faculty, along with institutional support. Online teaching can be very demanding on faculty. A recent study found that online teaching demanded 14% more time than traditional teaching and fluctuated considerably during times of advising and assessment (Tomei, 2006). With the spread of online teaching practices in higher education, many academic staff are faced with technological and pedagogical demands that require skills they don’t necessarily possess (Weaver, Robbie, & Borland, 2008). The quality of online programs depends upon the pedagogical practices of online teachers; therefore, faculty support in online programs is very important (Baran & Correia, 2014). Some believe that the success of online teaching depends upon the support of faculty on three main levels: teaching, community, and organization (Baran & Correia, 2014). The teaching level includes assistance with technology, pedagogy, and content through workshops, training programs, and one-on-one assistance. The challenge here is often the fact that academic staff find it hard to adapt to changes in their teaching or to allow someone else to tell them how to teach. Therefore individuals who design online programs need to first establish themselves as experts and to be viewed as such by faculty (Weaver, Robbie & Borland, 2008). The community level includes collegial learning groups, peer support programs, peer observation, peer evaluation, and mentoring programs. Some have highlighted the importance of creating a supportive community for online instructors who often feel isolated (Eib & Miller, 2006). Building learning communities and communities of practice for online teachers as well as providing opportunities for students and online faculty helps combat feelings of isolation (Eib & Miller, 2006; Top, 2012). The institutional level of support consists of rewards and recognition and the promotion of a positive organizational culture towards online education (Baran & Correia, 2014, p. 97). Institutional support is seen as supremely important (Baran & Correia, 2014; Weaver, Robbie & Borland, 2008). On one hand, if the deans and department heads do not support online teaching, the faculty who does may feel marginalized, unsupported within their discipline, and isolated. On the other hand, if upper management adopts online teaching and pushes for too many changes too quickly, planned implementation and adequate training can be grossly neglected, resulting in dissatisfaction among academic staff (Weaver, Robbie & Borland, 2008). Online education is supported by technology-assisted methods of communication, instruction, and assessment. The methods of communication in online learning are very important since feedback given to students depends on them. For some students, synchronous communication helps with receiving direct feedback; whereas, for others, asynchronous communication methods allow for more control on the part of the students to process feedback and respond at their own pace (Gold, 2004). Some have stressed the importance of not simply creating online interaction but rather developing high quality technology-assisted communication to promote student outcomes (Gold, 2004). Students report that the most common negative aspects of online classes are technology problems and feeling lost in cyberspace. On the other hand, they appreciate the flexibility of online classes and find instructor availability and a sense of community to be positive aspects of online learning (El Mansour & Mupinga, 2007). Community building in online classes has received more attention in recent years. Social presence refers to “the strength of the social relationships and emotional connection among the members of a class or learning community” (Rubin, 2013, p. 119). On an individual level, social presence refers to how involved and engaged each individual student is in the community, and his or her motivation and drive to share, interact, and learn from others. On a community level, social presence refers to the shared sense of belonging of the students in the classroom. Teachers can influence social presence by designing group assignments, creating discussion forums, rewarding community building behaviors and modeling openness and sharing (Rubin, 2013). Teacher presence refers to designing learning experiences, guiding and leading students’ work, providing feedback, and facilitating interaction and community building (Rubin, 2013). Technology characteristics in online learning are important considerations. Some have suggested that interface design, function, and medium richness play a key role in student satisfaction. The medium should accommodate both synchronous and asynchronous communication and the interface should be appealing, well structured, easy to use, allow for different media such as text, graphics, and audio and video messages, and have the capability of providing prompt feedback to students (Volery & Lord, 2000). Ice, Curtis, Lunt and Curran (2010), Merry and Orsmond (2007) and Philips and Wells (2007) found that students responded positively to audio feedback. Within the context of learner support, providing accommodations and support for students with disabilities is also an important consideration in online education. In particular, for students with cognitive impairments, navigating an online course can be particularly challenging, as existing platforms typically do not support such learners (Grabinger, Aplin & Ponnappa-Brenner, 2008). Online learning is bringing about constant change. Smith (2014) in the Educational Technology magazine identified 10 online learning trends to watch. Though this was listed in 2014, these are still trends to consider: (1) big data, (2) gamification, (3) personalization, (4) m-learning, (5) focus on return on investment, (6) APIs, (7) automation, (8) augmented learning, (9) corporate MOOCs, and (10) rise of cloud LMS. In 2017, Friedman (2017) identified the following five online learning trends to watch in 2017: (1) greater emphasis on nontraditional credentials, (2) increased use of big data to measure student performance, (3) greater incorporation of artificial intelligence into classes, (4) growth of nonprofit online programs, and (5) online degrees in surprising and specialized disciplines. It is important for educators to keep up with these changing trends to better prepare students. What are the strengths and weaknesses of synchronous and asynchronous online education? Describe at least 3 factors which have been shown to have a positive impact on distance learning. Baran, E. & Correia, A. P. (2014). A professional development framework for online teaching. Techtrends, 58, 96-102. doi:10.1007/s11528-014-0791-0. Bodie, L. W., & Michel, M. B. (2014, June). An experimental study of instructor immediacy and cognitive learning in an online classroom. In Intelligent Environments (IE), 2014 International Conference on (pp. 265-272). IEEE. Borokhovski, E., Tamim, R., Bernard, R. M., Abrami, P. C., & Sokolovskaya, A. (2012). Are contextual and designed student–student interaction treatments equally effective in distance education?. Distance Education, 33(3), 311-329. Clark, D. B., Tanner-Smith, E. E., & Killingsworth, S. S. (2016). Digital games, design, and learning: A systematic review and meta-analysis. Review of Educational Research, 86(1), 79-122. Dixson, M. D. (2012). Creating effective student engagement in online courses: What do students find engaging?. Journal of the Scholarship of Teaching and Learning, 10(2), 1-13. Garrison, D. R., Anderson, T., & Archer, W. (1999). Critical inquiry in a text-based environment: Computer conferencing in higher education. The internet and Higher Education, 2(2), 87-105. Garza, R. L. (2009). Online education and organizational change. Community College Review, 37(1), 81-101. Gaytan, J. (2015). Comparing faculty and student perceptions regarding factors that affect student retention in online education. American Journal of Distance Education, 29(1), 56-66. Graham, C., Cagiltay, K., Lim, B. R., Craner, J., & Duffy, T. M. (2001). Seven principles of effective teaching: A practical lens for evaluating online courses. The Technology Source, 30(5), 50. Greener, S. L. (2008).Self-aware and self-directed: Student conceptions of blended learning. MERLOT Journal of Online Teaching and Learning. 4, 243-253. Hamari, J., Koivisto, J., & Sarsa, H. (2014, January). Does gamification work?–a literature review of empirical studies on gamification. In System Sciences (HICSS), 2014 47th Hawaii International Conference on (pp. 3025-3034). IEEE. Hiltz, S. R., Shea, P., & Kim, E. (2007). Using focus groups to study ALN faculty motivation. Journal of Asynchronous Learning Networks, 11(1), 110-124. Hunt, D., Davis, K., Richardson, D., Hammock, G., Akins, M., & Russ, L. (2014). It is (more) about the students: Faculty motivations and concerns regarding teaching online. Online Journal of Distance Learning Administration, 17(2). Karaman, S. (2011). Nurses’ perceptions of online continuing education. BMC Medical Education, 11(1), 86. Kolomitro, K., & MacKenzie, L. W. (2017). Using Assessment to Promote Deep and Active Learning in an Online Anatomy Course. The FASEB Journal, 31(1 Supplement), 584-2. Lee, C. Y., Dickerson, J., & Winslow, J. (2012). An analysis of organizational approaches to online course structures. Online Journal of Distance Learning Administration, 15(1), n1. Lieblein, E. (2000). Critical factors for successful delivery of online programs. Internet and Higher Education, 3(3), 161-174. Lister, M. (2014). Trends in the design of e-learning and online learning. Journal of Online Learning and Teaching, 10(4), 671. Lunt, T., & Curran, J. (2010). ‘Are you listening please?’ The advantages of electronic audio feedback compared to written feedback. Assessment & Evaluation in Higher Education, 35(7), 759-769. Mandernach, B. J., Hudson, S., & Wise, S. (2013). Where has the time gone? Faculty activities and time commitments in the online classroom. Journal of Educators Online, 10(2), n2. Martin, F., & Ndoye, A. (2016). [https://edtechbooks.org/-iX] Using learning analytics to assess student learning in online courses. Journal of University Teaching & Learning Practice, 13(3), 1-20. Martin, F. & Parker, M.A. (2014). Use of Synchronous Virtual Classrooms: Why, Who and How? MERLOT Journal of Online Learning and Teaching, 10(2), 192-210. Martin, F., Polly, D., Jokiaho, A., & May, B. (accepted). Global standards for enhancing quality in online learning. Quarterly Review of Distance Education. Mayes, R., Luebeck, J., Ku, H. Y., Akarasriworn, C., & Korkmaz, Ö. (2011). Themes and strategies for transformative online instruction: A review of literature and practice. Quarterly Review of Distance Education, 12(3), 151. Merchant, Z., Goetz, E. T., Cifuentes, L., Keeney-Kennicutt, W., & Davis, T. J. (2014). Effectiveness of virtual reality-based instruction on students’ learning outcomes in K-12 and higher education: A meta-analysis. Computers & Education, 70, 29-40. Merry, S., & Orsmond, P. (2007, June). Students’ responses to academic feedback provided via mp3 audio files. Science Learning and Teaching Conference (pp. 19-20). Meyer, K. A. (2003). Face-to-face versus threaded discussions: The role of time and higher order thinking. Journal of Asynchronous Learning Networks. 7, 55-65. Muilenburg, L. Y., & Berge, Z. L. (2005). Student barriers to online learning: A factor analytic study. Distance education, 26(1), 29-48. Murray, M., Perez, J., Geist, D. & Hedrick, A. (2012). Student interaction with online course content: Build it and they might come. Journal of Information Technology Education, 11, 125-139. Oncu, S., & Cakir, H. (2011). Research in online learning environments: Priorities and methodologies. Computers & Education, 57(1), 1098-1108. Orr, R., Williams, M. R., & Pennington, K. (2009). Institutional efforts to support faculty in online teaching. Innovative Higher Education, 34(4), 257. Petrides, L. A. (2002). Web-based technologies for distributed (or distance) learning: Creating learning-centered educational experiences in the higher education classroom. International Journal of Instructional Media, 29(1), 69. Poole, D. M. (2000). Student participation in a discussion-oriented online course: A case study. Journal of Rresearch on Ccomputing in Eeducation, 33(2), 162-177. Rockwell, S. K., Schauer, J., Fritz, S., & Marx, D. B. (1999). Incentives and obstacles influencing higher education faculty and administrators to teach via distance. Faculty Publications: Agricultural Leadership, Education & Communication Department, 53. Rubin, B. (2013). Measuring the community in online classes. Online Learning, 17(3). Schrum, L. (2002). Oh, What Wonders You Will See–Distance Education Past, Present, and Future. Learning & Leading with Technology. Sellani, R. J., & Harrington, W. (2002). Addressing administrator/faculty conflict in an academic online environment. The Internet and Higher Education, 5(2), 131-145. Shelton, K. (2011). A review of paradigms for evaluating the quality of online education programs. Online Journal of Distance Learning Administration, 14(1). Tomei, L. A. (2006). The impact of online teaching on faculty load: Computing the ideal class size for online courses. Journal of Technology and Teacher Education, 14(3), 531-541. Top, E. (2012). Blogging as a social medium in undergraduate courses: Sense of community best predictor of perceived learning. The Internet and Higher Education, 15(1), 24-28. Volery, T., & Lord, D. (2000). Critical success factors in online education. International Journal of Educational Management, 14(5), 216-223. Vonderwell, S. (2003). An examination of asynchronous communication experiences and perspectives of students in an online course: A case study. The Internet and Higher Education, 6(1), 77-90. Weaver, D., Robbie, D., & Borland, R. (2008). The practitioner’s model: Designing a professional development program for online teaching. International Journal on ELearning, 7(4), 759-774. Woods Jr, R. H. (2002). How much communication is enough in online courses?–Exploring the relationship between frequency of instructor-initiated personal email and learners’ perceptions of and participation in online learning. International Journal of Instructional Media, 29(4), 377. Florence Martin is an Associate Professor in the Instructional Systems Technology program at the University of North Carolina Charlotte. She received her Doctorate and Master’s in Educational Technology from Arizona State University. She has a bachelor’s degree in Electronics and Communication Engineering from Bharathiyar University, India. She researches on designing and integrating online learning environments (OLE) to improve learner motivation and engagement to achieve effectiveness in learning. She served as the President of the Multimedia Production Division at AECT from 2012-2013 and is the incoming president-elect of the Division of Distance Learning at AECT. 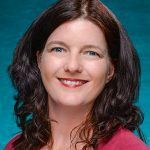 Beth Oyarzun is a Clinical Assistant Professor of Instructional Systems Technology at the University of North Carolina at Charlotte. 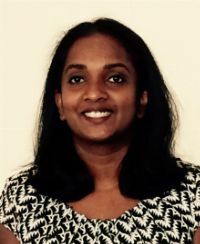 She teaches fully online instructional technology courses and her research interests involve identifying effective instructional methods in the asynchronous online learning environment. Her PhD in Instructional Design and Technology was awarded by Old Dominion University in 2016. Prior to working in higher education, Beth was a Nationally Board Certified high school Mathematics teacher for nine years.